Dr. Richard D. Creese always appreciates feedback from his valued patients. To date, we’re thrilled to have collected 52 reviews with an average rating of 4.9 out of 5 stars. 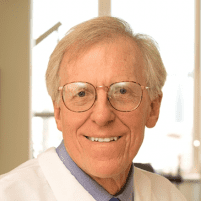 Please read what others are saying about Dr. Richard Creese below, and as always, we would love to collect your feedback. Fantastic experience. Had a crown break and was worried about cost. Found Dr Creese online and saw that he had great reviews and accepted my insurance. Tina was kind and thorough enough to give me a quote prior to my making an appointment. Dr Creese was able to see me quickly to make a temporary repair, and then worked with my schedule to accommodate me for my 2nd appointment. Friendly, honest, down-to-earth, thorough in explaining options and what work will be/was done. Treatment rates far more reasonable than other dental offices I have used/contacted to discuss treatment. Cannot recommend Dr Creese highly enough, and Tina, his office assistant, is fantastic. I am a new patient, and I had a fantastic experience. Dr. Creese and his team are extremely friendly, knowledgeable, and put your needs first. I have a complicated dental history and Dr. Creese took the time to get a complete understanding of that, even if I just went in for a cleaning . I will definitely be back! I’ve been a patient of Dr. Creese for 20 years and have required a lot of work - a bridge and crowns. I moved to MA for 3 years. My dentist there praised his work! Dr. Creese, Anna, and Tina are the best. Pleasant, professional, and knowledeable. I never thought I would say going to the dentist is a great experience. Here, it is. Appointments always begin on time. The staff is always professional and friendly. And Dr Creese is a perfectionist. I always leave smiling. Satisfied patient for over 20 years! 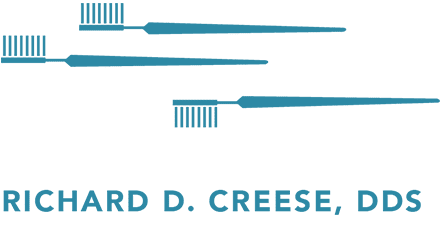 I’ve been a patient of Dr. Creese since 1979. Obviously I think he’s a very good dentist. I wonder how I and my husband will get along without him once he retires. Tina is the best receptionist he has ever had: friendly, compassionate, and very efficient. I give Dr. Creese 10 stars. I love this office everyone is always so friendly. Excellent services I love the dental work he did for me and explained things so well.